White gold and radiant diamonds are indeed traditional, but this Marco Bicego Goa ring features a striking, stacked silhouette that creates a modern presentation. 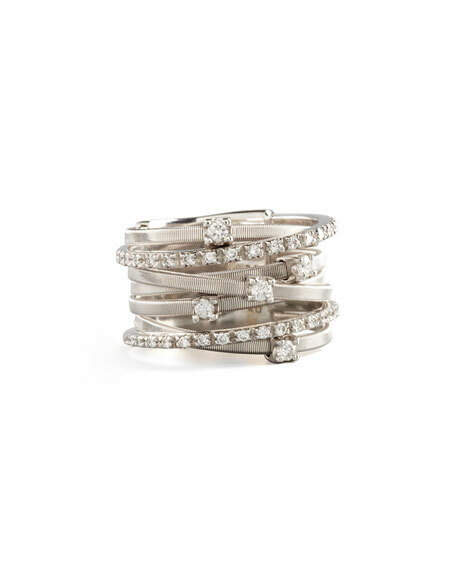 18-karat white gold shapes the illusion of 7 stacked rings. Prong-set and shared prong-set white diamonds. Marco Bicego logo engraving on back.